Simply put: Why Antigua and Barbuda? 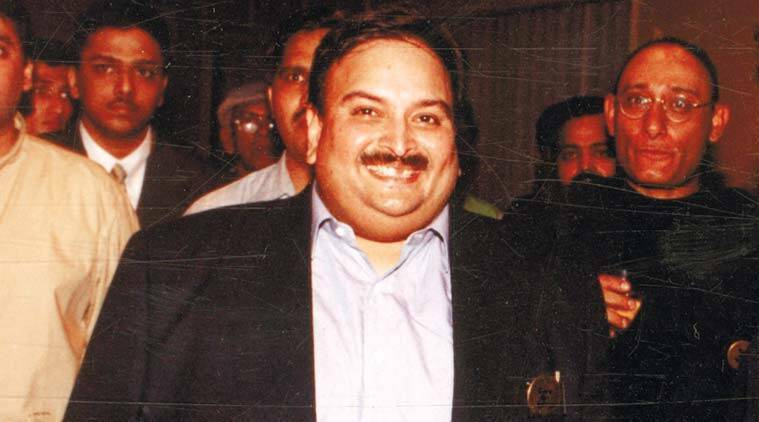 Fugitive Mehul Choksi has paid for and got citizenship in Antigua and Barbuda, with which India has now notified an extradition deal. Will it help bring Choksi back? Where else can the wealthy buy citizenship? Mehul Choksi applied for citizenship in November 2017 and took oath in January. India last week notified an extradition arrangement with Antigua and Barbuda, where fugitive businessman Mehul Choksi, an accused along with his nephew Nirav Modi in the Rs 13,600-crore PNB scam, has acquired citizenship. There have been other Indian businessmen who, wanted by law, have obtained citizenship of countries with which either there is no extradition treaty or the legal process is so tedious that the fugitive cannot be extradited after acquiring citizenship. To what extent does such citizenship protect a fugitive from Indian law? What options does India have in getting the fugitive back? What is attractive about an Antigua and Barbuda passport? Citizenship there can be easily obtained by investment, either in the country’s National Development Fund with a contribution of $100,000, or in real estate and approved business projects. The applicant cannot change his/her name, according to a 2014 decision by the country’s cabinet. As per a 2018 ranking by Henley’s Global Residence and Citizenship Program, Antigua’s passport is the 25th most powerful and provides visa-free access to 149 countries. A citizenship-by-investment request is processed in less than 3 months, and anyone who has stayed for 5 days in 5 years is eligible. Choksi applied in November 2017 and took oath in January. Citizens of Afghanistan, Iran, Iraq, North Korea, Somalia, Yemen and Sudan cannot obtain citizenship of Antigua and Barbuda. Where else can citizenship be bought? Five other countries are listed in a 2015 report by the International Monetary Fund (see map). Among these is Malta, whose passport is among the most powerful (Henley’s rank 7, with visa-free access to 182 destinations). Many other countries offer residency — rather than citizenship — in return for investment, including Australia, Bulgaria, the US, the UK and New Zealand. The qualifying period for residency varies (see table). Why do countries offer such options? It can encourage investment. For example, in St Kitts and Nevis, the money flowing into the public sector from the economic citizenship programme grew to nearly 25% of the country’s GDP in 2013. How popular is this option with Indians? Many Indians have obtained foreign citizenship for various reasons. Only a handful of them have been fugitives from law — in 2013, Winsome group owner Jatin Mehta, accused of bank frauds amounting to Rs 7,000 crore, and his wife acquired citizenship of St Kitts and Nevis. Common reasons for migration of wealthy individuals, according to a 2018 AfrAsia Global Wealth Migration review, include safety, climate, financial concerns, opportunities for education and work/business, and standard of living. A large number who get residency in a country, however, never actually move there. When someone like Choksi takes citizenship abroad, does he not lose his Indian citizenship automatically? India’s Citizenship Act does not allow dual citizenship. If a Person of Indian Origin (PIO) acquires foreign citizenship, the Act requires that s/he surrenders his/her Indian passports. Can India not act against them? It is difficult for authorities to keep a tab on a person who has not surrendered his/her Indian passport after becoming a citizen in another country. Such cases come to light only if a probe is on. Even after acquiring citizenship abroad, many PIOs continue to use Indian passports, and others apply for fresh passports by suppressing the fact that they are citizens elsewhere. These are offences under the Indian Passport Act, 1967. Under the Renunciation of Citizenship Rules, the Indian passport must be surrendered within 90 days of obtaining a foreign naturalisation certificate. Penalties depend on the number of trips made on the Indian passport after acquiring foreign nationality, and for retention of the Indian passport for more than three years after. In Choksi’s case, he lost his Indian citizenship the moment he became a citizen of Antigua and Barbuda. However, as per a 2009 circular from the Consular, Passport and Visa division of the External Affairs Ministry, such a PIO may use the Indian passport for three months unless it is revoked by the authorities. Will the new extradition arrangement help India get Choksi back? Although Interpol has issued a red corner notice (RCN) against Choksi, and Antigua and Barbuda is an Interpol member, this does not ensure his arrest by member countries. India has thousands of RCNs pending against fugitives yet to be arrested. While an extradition treaty would allow India to push for custody of Choksi, extradition is a judicial process and may take years since the accused has the right to appeal in court. On the other hand, deportation is a quicker process if New Delhi can use its diplomatic clout. India does not have extradition treaties with the other five countries where citizenship can be bought instantly. However, being member of the Commonwealth, New Delhi can rely on various laws in seeking to bring back a fugitive from another member nation. 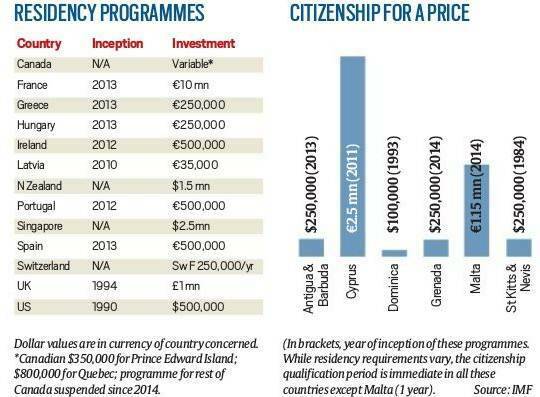 Can citizenship by investment be revoked? Rules on revocation differ from one country to another. Citizenship can be revoked if it has been obtained by false representation or concealment of facts. Some countries also cancel citizenship if the person has been convicted of an offence. However, the individual whose citizenship has been revoked has the right of appeal to the court of that country. In 2015, gangster Chhota Rajan was traced by Interpol after he had applied for a visa and a resident permit, and furnished his fingerprints. Invesigators in Australia sent fingerprints to India through Interpol, and the gangster was arrested.